Immigration advocates rally on Capitol Hill in Washington in January. The U.S. Supreme Court has denied the Trump administration’s unusual request to overrule a judge who kept alive a program that shields young immigrants from deportation. 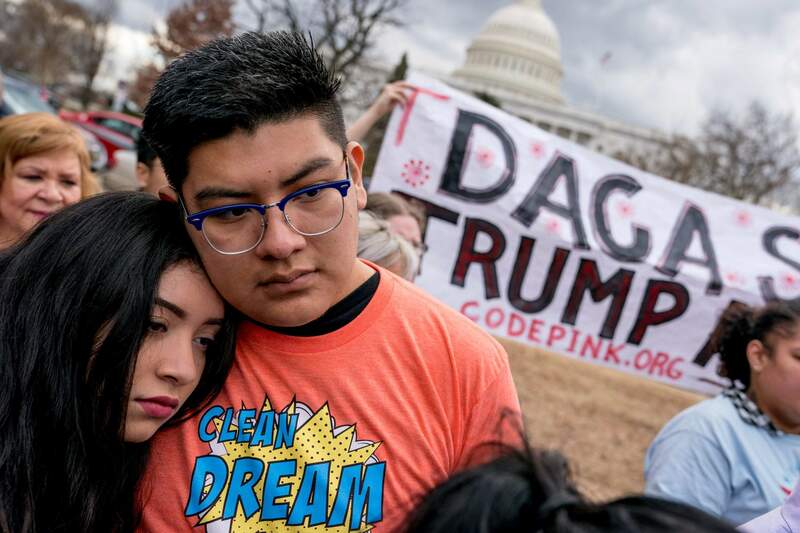 Colorado’s two senators are continuing to call for a bipartisan solution for recipients of the Deferred Action for Childhood Arrivals program after the Supreme Court denied a Trump administration request to expedite court proceedings. The Trump administration had appealed directly to the Supreme Court after two district courts blocked the administration from rescinding DACA. The administration hoped to bypass the left-leaning Ninth Circuit Court of Appeals. The Supreme Court denied the request and said the appeals court should hear the case first. The decision effectively nullifies the March 5 deadline set by the president when he ended the program in September. “I will continue to work with my colleagues on both sides of the aisle to find a solution in a way that makes Colorado proud, as quickly as possible,” Republican Sen. Cory Gardner said. DACA renewals will continue beyond March 5 as arguments continue in the courts. The decision could delay the end of DACA for another year, providing temporary protection for so-called Dreamers. In a tweet on Monday, Bennet said the decision falls short of what he wants. Congress has failed so far to find a legislative solution. Two weeks ago, the Senate voted on a series of immigration bills to give permanent legal protections to DACA recipients. None of proposals received the 60 necessary votes to pass. Progress in Congress is stagnant as it tries to reach a compromise with immigration hardliners in both chambers. Gardner has concerns on how the delay the could impact the discussions in Congress. The White House wants a comprehensive immigration plan that gives a pathway to citizenship for 1.8 million Dreamers, in exchange for ending the visa lottery program, provides $25 billion for wall funding and restricting a visa program that allows new citizens to sponsor family members for visas. The White House plan was defeated in a Senate vote, 39-60. Sens. Gardner and Bennet have played integral roles in the immigration debate since discussions began late last year. During the immigration votes two weeks ago, the senators introduced an amendment that provided a 12-year pathway to citizenship for the 1.8 million Dreamers and included $25 billion for the border wall.